New INVASION 2088 Game Cards Will Pack a Punch! 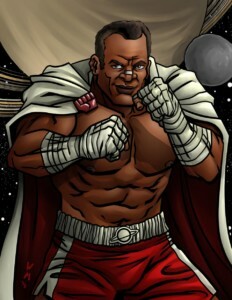 Look out for some TKO action as legend BILLY JO BOXER will get his new color card in the upcoming INVASION 2088 game! 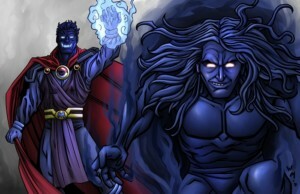 BOXER is not only a singles star, he also formed a legendary tag team called TitanPower with none other than Lord Nexus! 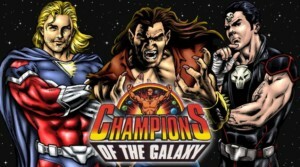 Now is the time to re-visit some classic feuds like BILLY JO BOXER and Lord Nexus against Invincible Krakan and Ghengis Khan! Don’t miss the new INVASION 2088 game pack plus handbook. This holiday season will be our best ever! The Villain Comes to the Ring of Honor Game! “The Villain” Marty Scurll has finally arrived in the Ring of Honor game as part of the Death Before Dishonor game pack! The umbrella toting Scurll made his name on the British independent scene before debuting in Ring of Honor in late 2016. He made a splash winning the ROH Television title in just his 3rd match after signing with the promotion. 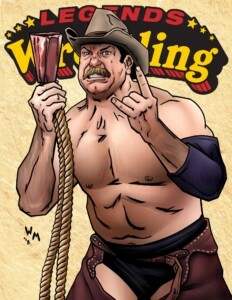 Scrull is a force in the Junior Heavyweight division internationally and is known for a variety of ways to torture opponents, including his dreaded Crossface Chickenwing. The Villain’s popularity has grown even more in the past 2 years with his partnership with the Young Bucks. Villain Enterprises is taking over! Marty Scurll will join Jonathan Gresham, Sumie Sakai and Brian Milonas and 4 other wrestlers in the Death Before Dishonor 8-pack. Preorder ROH: Death Before Dishonor now along with all our holiday releases now HERE. Games begin mailing December 14th. 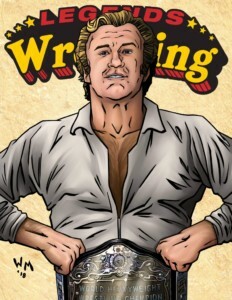 Nick Bockwinkel Takes His Place Amongst the Legends! 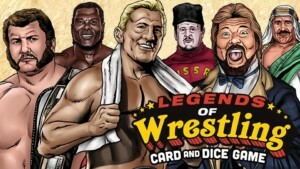 The long awaited arrival of Nick Bockwinkel in COLOR will take place in Legends Expansion III! 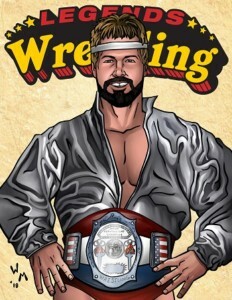 The former multiple time world heavyweight and tag team champion is one of the top wrestlers in history. Rivals like Mad Dog Vachon, Red Bastein and Billy Red Lyons have already been announced for LE III, who else may be arriving? Will Bockwinkel bring any allies with him? You’ll find out when Legends Expansion III hits your mailbox in December 2018! Get ready to preorder Legends Expansion III later this week on Black Friday November 23rd along with all our other holiday releases from Champions of the Galaxy and Ring of Honor! Jonathan Gresham Looks to Make the ROH Roster Tap! The next wrestler joining the Ring of Honor Death Before Dishonor 8-pack is a new wrestler to the ROH series, but one familiar to Filsinger games fans, Jonathan Gresham. 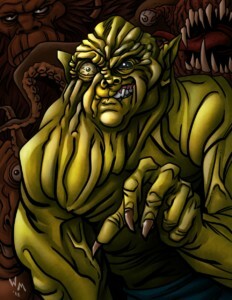 Gresham is a premier technical wrestler, who is gifted in grappling and a variety of submission holds, including his patented Octopus Stretch. 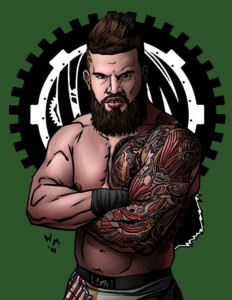 He made his initial ROH debut in 2011 Top Prospect tournament, but didn’t become a regular in the promotion until the last two years. Gresham was part of the Search and Destroy stable, but is focusing on singles competition and is using his “Pure” wrestling style to work up the ranks in Ring of Honor. 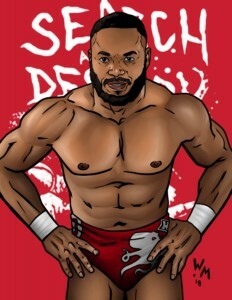 Jonathan Gresham will join Sumie Sakai and Brian Milonas and five other wrestlers in the Death Before Dishonor 8-pack. The Ring of Honor Death Before Dishonor game pack will be available this December along with the other Filsinger Games holiday releases from Legends of Wrestling and Champions of the Galaxy. Preorder begins this week on Black Friday November 23!